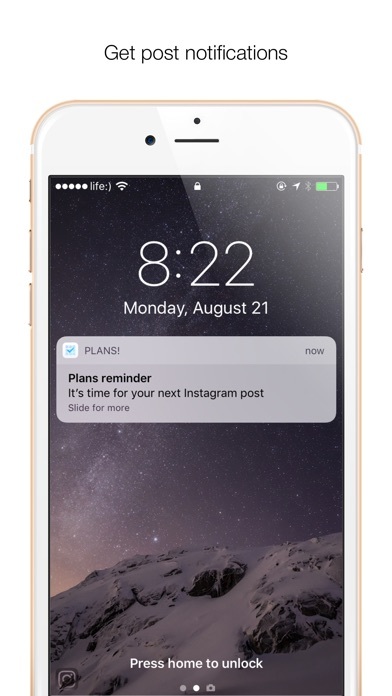 Make your feed look a lot better as a whole and keep your Instagram updates organized with Plans! The first thing a user sees when checking out your profile on Instagram is your feed, and it mostly decides if he's going to hit follow. So if you are a blogger, an influencer, or a brand, it is especially important for your feed to convey your style and aesthetics. Plans! 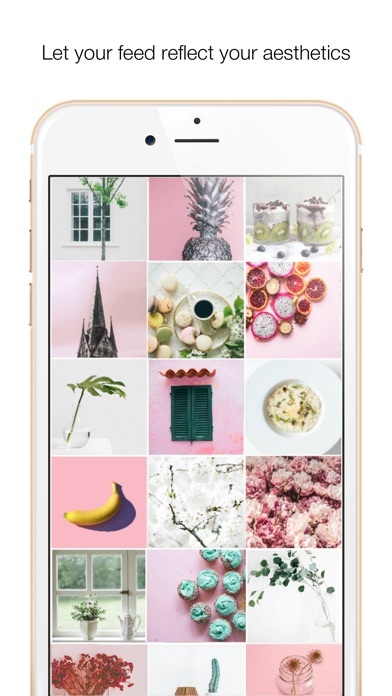 was designed to help you easily enhance the overall look of your Instagram profile, and so much more: * Visually attractive, consistent feed that look good overall. 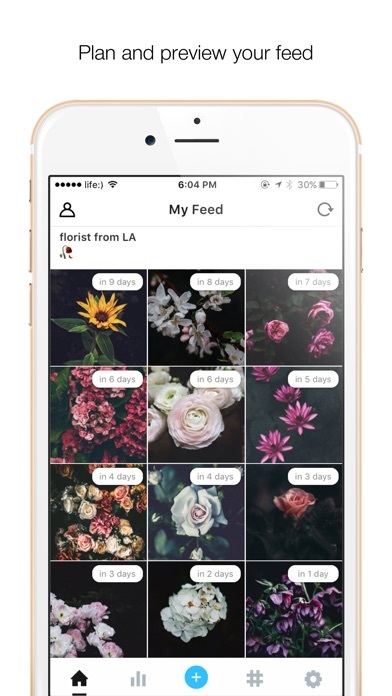 Design and preview your feed exactly the way Instagram users will see it prior to sharing new posts. Shuffle the images around with intuitive drag and drop feature until you're happy with the result. Easily maintain a consistent profile theme or plan a smooth transition to a new signature look. * Ready to share content. Ever found yourself struggling with creative crisis when it's time to post a new update? Forget about that! Always have what to share and never miss the prime time again. Do a photo shoot whenever you feel inspired, bulk edit your images, and save them for later in Plans! Batching images saves lots of time, and you can focus on other important things, such as engagement. * Thought out captions. Crafting a good brief caption that speaks to your audience isn't an easy task, putting together a longer story that inspires and provokes emotional response is even harder. Take your time to note down and rewrite your captions in Plans! Add an appropriate text to each photo or simply store bits of thoughts, favorite quotes, and your most used hashtags in Templates. * Schedule post notification reminders. 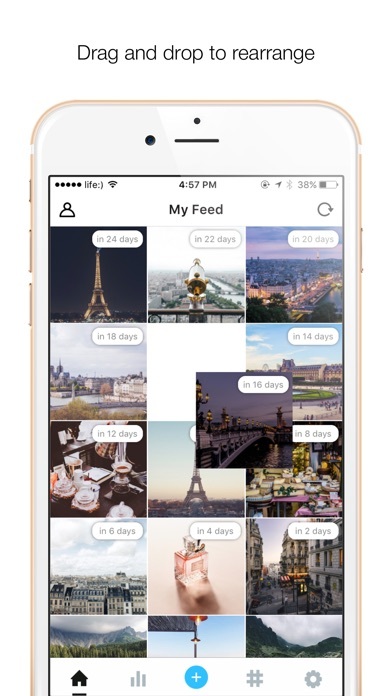 Set a day and time of your post or schedule multiple posts at once by setting an interval (once a day, every 3 days, etc). 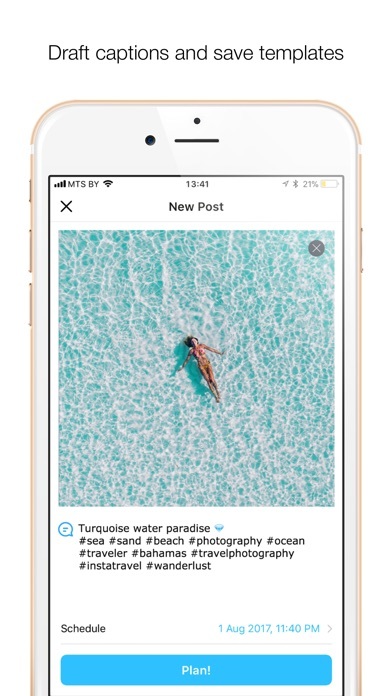 When the time for your next post approaches, you will receive a push notification which you can open to view the update inside the app and share it to Instagram. For any questions or feedback send us an email at support@ultralabapps.com. If you like Plans!, please rate and review the app on the App Store! Thanks!